CEDARLANE® manufactures Complement, Lympholyte® cell separation media, cell purification Immunocolumns and a wide range of Antibodies. Also, CEDARLANE® continues to offer our Custom Antibody Services. Our line of Cedarlane-manufactured reagents. 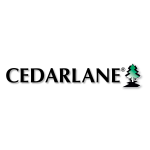 For over 50 years, Cedarlane has provided complement related products to the life science research and diagnostic communities. Cedarlane offers numerous formats of reagent complement as well as an extensive range of recombinant proteins and antibodies. 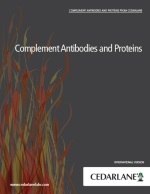 We have antibodies to complement components, regulators and receptors which are offered in a variety of formats including purified and conjugates to biotin, FITC, PE, APC and horseradish peroxidase.